I haven’t much time to spend writing a post tonight (there are still several other things to bake and cook on my list! 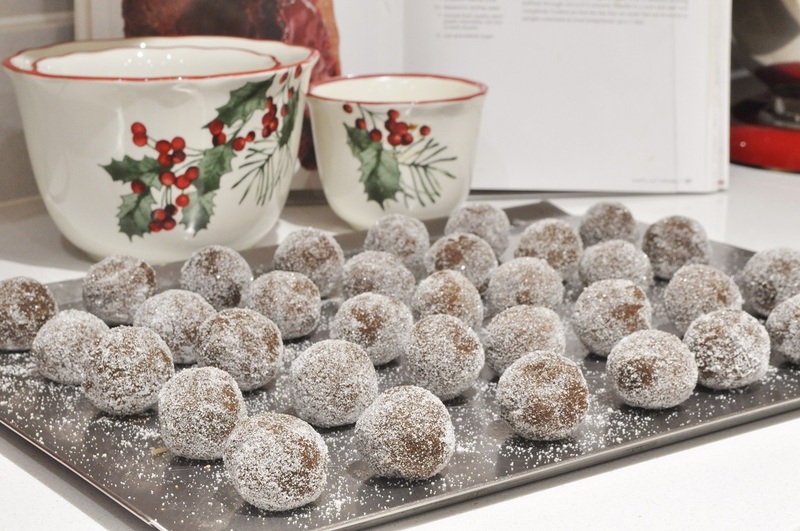 ), but I want to share the recipe for one of my favourite Christmas cookies with you here. My family makes these cookies every year, and I really do think that the combination of ginger and chocolate is the flavour duo that most signifies Christmas to me—in addition to being one of the most (if not the most) delicious in the world. 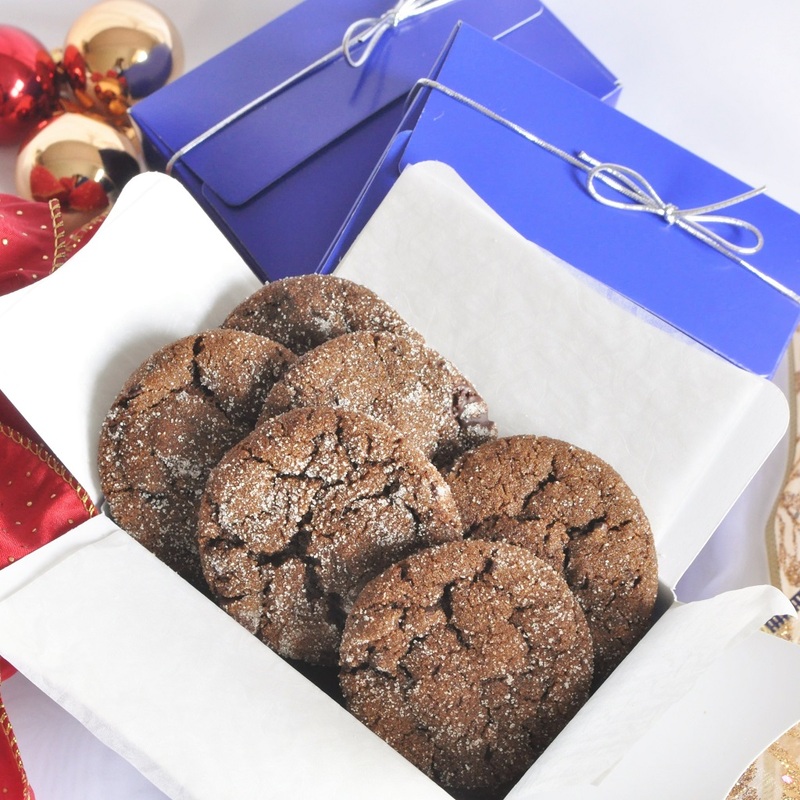 And, with the possible exception of a ginger truffle, nowhere is the combination happier than in these soft cookies with their irresistibly chewy edges, oozy bites of chocolate, and fine, crisp coating of sparkling sugar on the outside. A feast for both the eyes and tastebuds, I promise you that these cookies make a wonderful addition to a Christmas cookie platter . . . although they are equally welcome any time of the year in my house . . . 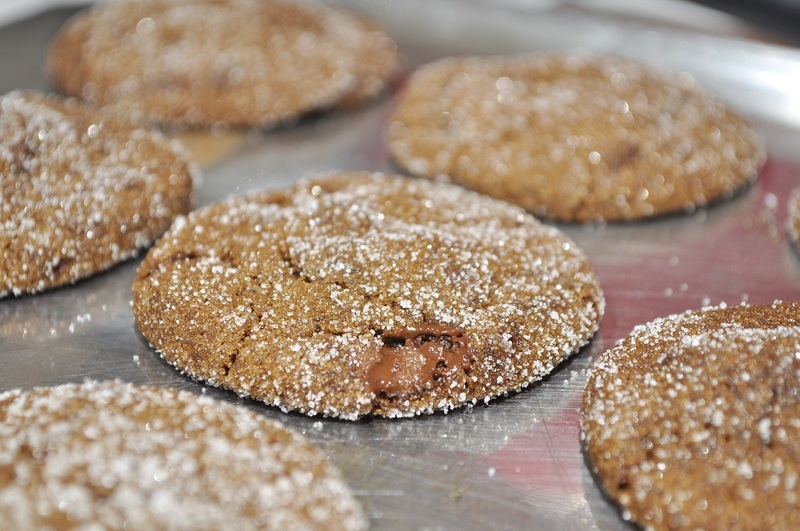 These cookies, in all their glittery glory, are my submission to Tea Time Treats, which is run by Karen of Lavender and Lovage and Jane of The Hedgecombers. 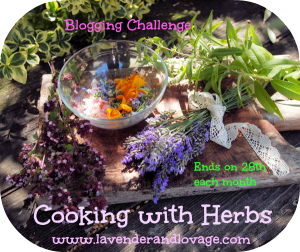 I am also submitting the recipe to Supergolden Bakes’ #CookBlogShare event, as well as to Lavender and Lovage’s Sugar and Spice Cooking with Herbs challenge. Note: My changes lie largely in the amount of spices; I invariably find Martha’s level of spiciness too high for my taste, and so have adjusted the measurements here. 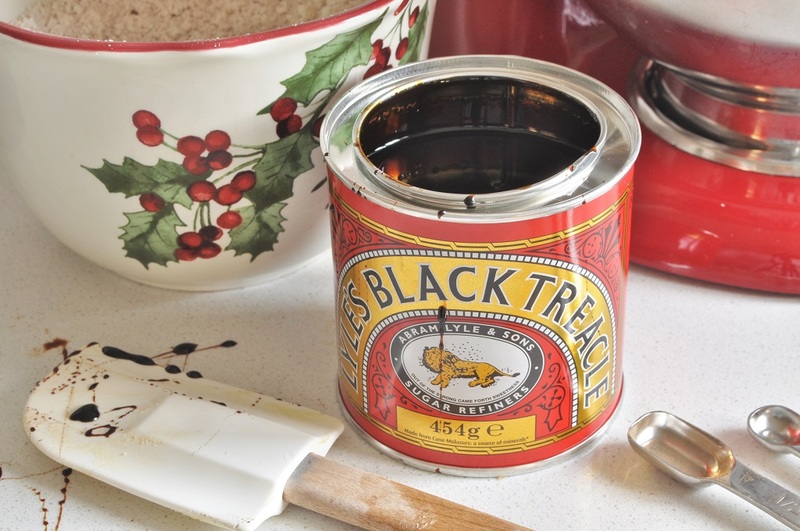 Also, as you can see by the photos, I used treacle in my sparkles this year, as I had not been able to find molasses in the British grocery stores. 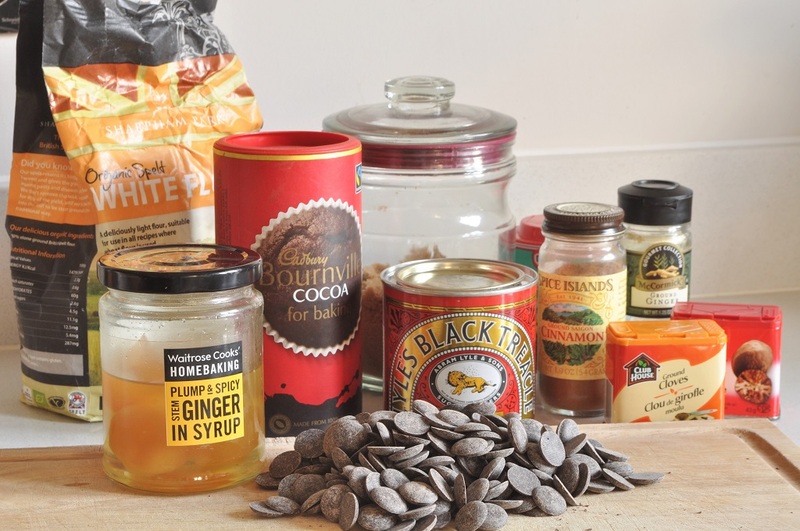 This void has, happily, been filled since I made this batch of cookies, and personally I prefer the taste of molasses to treacle in this particular recipe. But the difference really is very slight, so feel free to use whichever one you have on hand. 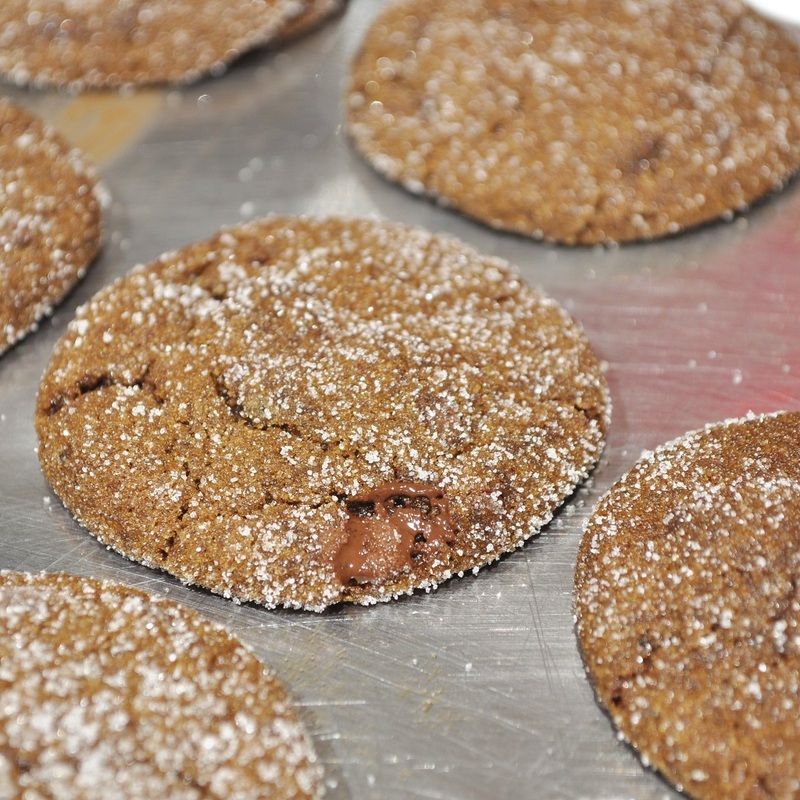 In a small bowl, whisk together the flour, cocoa powder, and spices. Set aside. 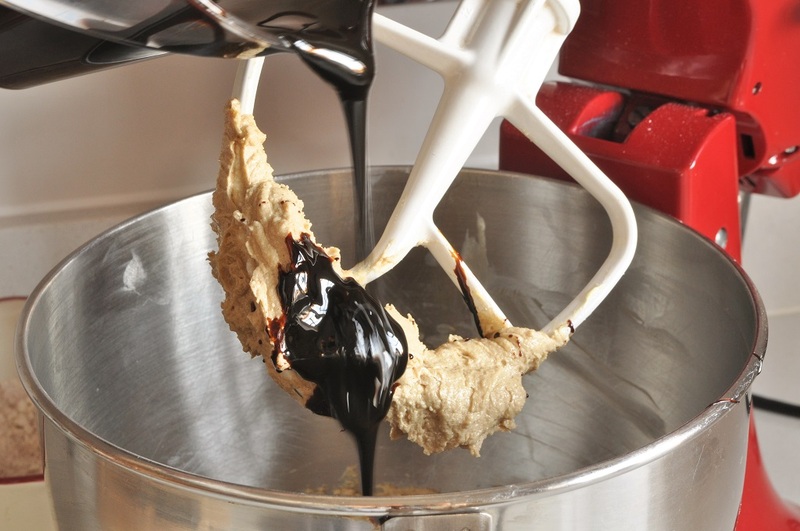 In the bowl of a stand mixer fitted with the paddle attachment, cream the butter on medium-high speed until very light and creamy, about 3 minutes. Add the fresh ginger and brown sugar to the creamed butter and beat until well blended. Pour in the molasses/treacle and mix until combined. Scrape down the sides of the bowl with a rubber spatula. With the machine running on low speed, mix in half of the flour mixture. Dissolve the baking soda in the hot water, and then add the liquid to the dough. Once incorporated, stir in the remaining half of the dry ingredients and mix well. Pat the dough out into a 1-inch-thick disc and wrap it in plastic wrap. Transfer to the refrigerator and chill until the dough is firm, about 2 hours. Preheat the oven to 325°F/160°C. Pour the granulated sugar into a small bowl. 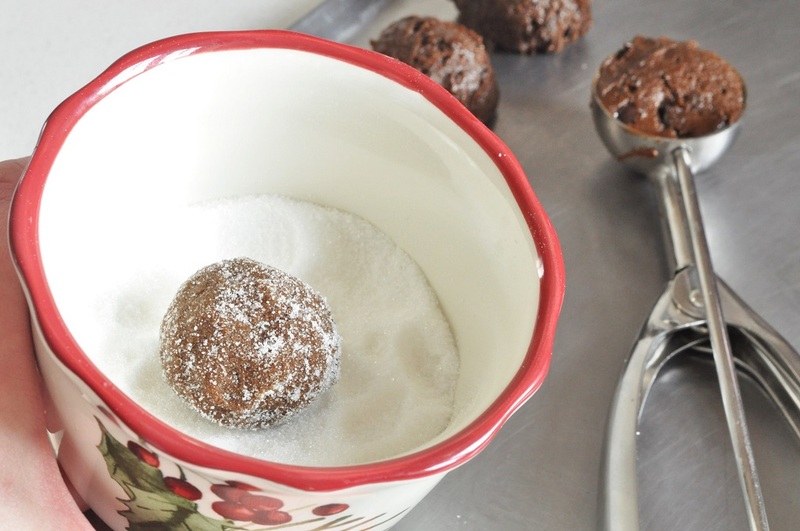 Scoop out tablespoons of the dough and roll them into balls between the palms of your hands. Chill the trays of shaped cookies for another 20 minutes, and then bake them, one tray at a time, until the cookies are set around the edges and beginning to crack on the tops, 10 to 12 minutes. Remove from the oven and let the cookies cool on the trays for 5 minutes before removing them to a wire rack to finish cooling. 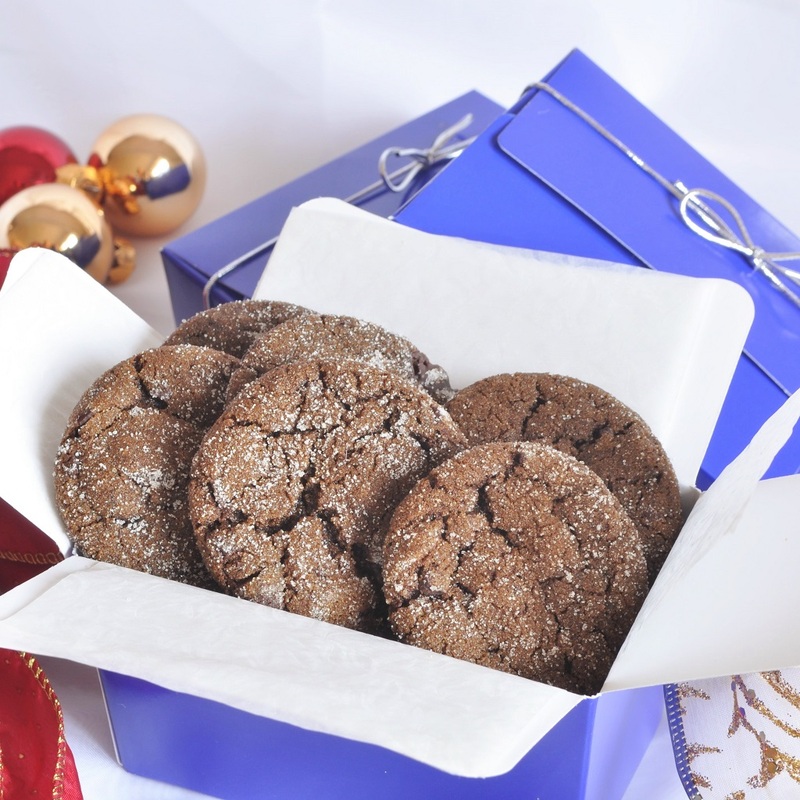 Store the cookies in an airtight container at room temperature for up to 5 days, or in the freezer for up to six weeks. And you know what the best part of the cracking is? When the cookies start to crack, that’s how you know when they are finished baking! So helpful . . .
A very happy Christmas to you, too, Kate! Merry Christmas to you, Karen! Many thanks, as always, for hosting. 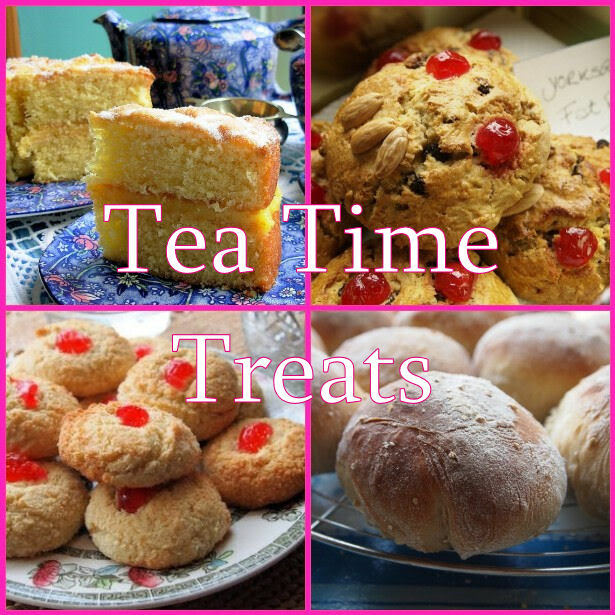 Pingback: December Tea Time Treats Round-Up - Glitter and Sparkle for Christmas & The New Year! Delicious, festive and with fantastic flavours. Thanks for linking to #CookBlogShare and a Happy New Year! Happy New Year to you, Lucy! 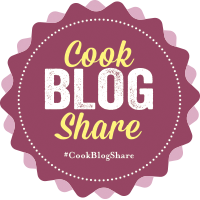 Looking forward to another year of #CookBlogShare, every round-up is so beautiful.